Got your hair care and skin care regime sorted? What about your nails? They need your attention too… Nothing ruins an outfit or an impression quite like unflattering, unsightly brittle nails, dry cuticles and chipped nail varnish. Healthy, well-manicured nails always make a good impression and can really complete your look. But if you are prone to weak nails which break or spilt often, it’s little wonder they are kept hidden in gloves or stuffed into your pockets and not shown off! Drinking plenty of water will decrease the risk of dry cuticles. Try eating fruit and vegetables with a high water content such as cauliflower, peppers, spinach, watermelon and strawberries. This will not only keep you hydrated but will boost your vitamin intake at the same time. A lack of protein can result in brittle nails. Nails are made up of the natural protein keratin, so adding protein rich foods such as soy, eggs, fish, and beans to your diet can help to build nail strength and help stop them breaking and splitting. Essential fatty acids, such as those found in almonds or avocado, are also important for strengthening your nails. Eating as few as 6 almonds a day may have a positive impact on your nail health. Ensuring that you have sufficient magnesium in your diet to allow your calcium intake to be absorbed effectively is important. If your diet doesn’t contain plenty of wholegrains, nuts, dried fruit, and seeds (good sources of magnesium) then it may be a good idea to take a magnesium supplement. When you use hand cream, don’t forget to rub it into your nails and cuticles too. Many people often just concentrate on the palms and back of their hands and forget their fingers, nails and cuticles which also need lots of moisture. There are lots of natural ways to moisturise your nails and cuticles to stop them drying out and splitting. You can protect your nails and strengthen them by rubbing almond oil or olive oil into them daily. 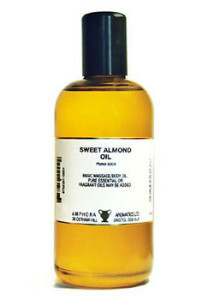 The oil penetrates the skin and nail, to help repair any damage and soften your nails and cuticles. All you need to do is massage the oil into the nail and cuticle area in small, circular motions until fully absorbed. Another good tip is to warm the oil as the heat helps speed up absorption Make sure it’s not too hot though, you don’t want to burn your fingers! As a weekly treat, soak your nails in the warm oil for 10 to 15 minutes to help keep them soft and supple. Wearing cotton lined rubber gloves when your hands are in water, such as when doing the dishes or washing the car, can protect your nails. If your nails are submerged in water for a long time, they absorb a lot of water, then contract as they dry out, damaging your nails. Washing your hands can also rob your nails of vital oil and moisture, resulting in weak, brittle nails. Remember to always moisturise after you wash your hands to replace this moisture and don’t forget to pay attention to your nails and cuticles. A great natural way to get rid of discoloured nails is to scrub them with a slice of lemon. 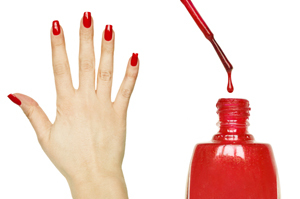 This handy little trick will help get rid of stains and gently buff your nails too. Soaking your nails in apple cider vinegar can also help brighten nails. Regular nail clipping and filing is essential to a well-groomed look. Use sharp manicure scissors or clippers. Trim your nails straight across, then round the tips in a gentle curve. Filing your nails is important to prevent them from splitting and weakening and this is best done in one direction only. If your nails are extra brittle and prone to breakage, keep them short. Did you know that conventional nail polishes and nail polish removers contain lots of nasty and very powerful chemicals such as formaldehyde, phthalates, toluene and acetone, which can irritate your skin? Silica is necessary for the rebuilding of all connective tissue, including hair, skin and nails. Taking a supplement containing silica for three to four months will help improve nail strength. 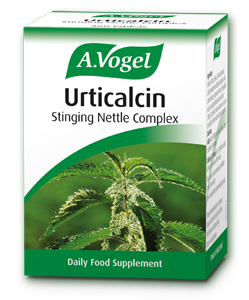 A.Vogel’s Urticalcin ta blets contain urtica, calcium from nettles and silica to strengthen brittle nails by improving the way the body absorbs calcium and provide nourishment for your nails, supporting existing growth, strength and overall quality.Urticalcin may also be used to support healthy hair growth. You may also want to consider Kordel’s Silica Plus tablets which also contain Vitamin B6, Calcium, Zinc and Manganese or Lifeplan Silica Formula, another excellent supplement for the maintenance of healthy nails, hair, skin and bones. Who hasn’t experienced that annoying moment when you break a nail and realise you don’t have a nail file to hand. You may be tempted to bite your nail in an attempt to fix it or stop it annoying you, but this can do more harm than good, as it can further damage the nail bed. Try to keep a nail file handy in your bag or desk at work to quickly smooth any rough edges and prevent further damage. 10. Don’t forget your toenails! It’s easy to forget them until it’s time to wear sandals and flip flops again, but regularly maintaining and moisturising your toe nails is just as important, so make sure you pay them a little attention too.